Automaker General Motors today made good on a plan it has been cooking since the summer to take its information technology operations in-house, and will be hiring some 3,000 Hewlett-Packard employees in the process, the companies said today. This in-sourcing plan was spearheaded by GM CIO Randy Mott, who happens to be the former CIO of HP itself. Mott, you may recall, was ousted at HP in a June 2011 management shakeup about three months before the end of Léo Apotheker’s 11-month tenure. Mott’s plan to take GM’s IT in-house was first disclosed in a detailed story in Information Week in July. Till now, GM’s IT services have been run by a patchwork of the usual suspects of the IT services industry: HP’s EDS, IBM, Capgemini and India’s Wipro all figured prominently. 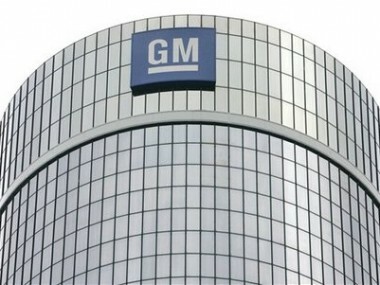 Only about 10 percent of the routine IT work has been handled by GM employees. Mott said his plan at the time was to flip that ratio on its head, to 90 percent internal and 10 percent outsourced. Mott’s plan was seen as a potentially serious wound to HP’s already troubled IT services business, and people couldn’t help but see Mott as perhaps trying to punch his old employer in the nose. The deal today says that moving the 3,000 HP employees to GM’s payroll is cost neutral. I checked with HP and am told by a spokesperson there the change doesn’t affect the expected number of headcount reductions over the next three years. The number remains firm at 29,000. Other pieces of GM’s big IT transformation include cutting the number of data centers in use from 23 to two; reducing the number of applications in use, currently about 4,000, by about 40 percent; and the creation of three software development centers, two of which are to be in Michigan. I don’t know if these are the same as the four IT innovation centers mentioned in today’s release, but one is in Warren, Mich., another is in Austin, Texas, and the locations of two more have yet to be announced. Also good news for HP is that GM bought a bunch of its software, including its IT performance and security suite, Vertica, and even some stuff from Autonomy. In the statement, George Kadifa, the new head of the software business unit, said GM is the IT performance suite’s first customer. Good news there. GM shares are up about 44 cents, or nearly 2 percent, with a little more than an hour to go before the close. HP shares rose 5 cents to $14.78.